The Nobel Award Committee has announced three American professors, Eugene F. Fama, Lars Peter Hansen and Robert J. Shiller as winners of the Nobel prize in Economic Science. There have been mixed reactions to the Nobel Prize Committee's announcement of the Organization for the Prohibition of Chemical Weapons in Syria as the winner of the 2013 Nobel peace prize. Some people say the committee has just started its assignment and is still unsure how far it will go. However, other people say the Nobel Committee's decision may be appreciation for the enormity of the chemical prohibition organization's assignment, anticipating its success, which may lead to peace in Syria and the world as a whole. Reactions to the Nobel price Committee's choice of the Organization for the Prohibition of Chemical Weapons in Syria easily reminds curious observers of similar development that followed the committee's decision of President Barack Obama as winner of the 2011 peace prize, with the United States in the middle of two wars. 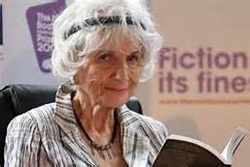 The Nobel Peace prize announcement on Friday crowned the announcement of other categories that had begun earlier in the week with Alice Munro, a renowned Canadian short story writer with 14 collections and a master of contemporary short story, who won the Literature prize and became the 13th woman to win the award. The awards comprise five different categories namely Literate, Peace, Physics, Chemistry, Physiology and Medicine, and The Sveriges Riksbank in Economic in Memory of Alfred Nobel. The three Science categories comprise Physiology and Medicine, Chemistry and Physics. The Chemistry's prize was shared by Martin Karplus of the United States and Austria; Michael Levitt of the U.S, United Kingdom and Israel and Areh Warshel of the U.S, and Israel. Francis Englert of Belgium and Peter Higgs of the U.K shared the Physics prize and the Physiology and Medicine prize shared by James Rothman of the U.S; Randy W. Schehkman of the U.S and Thomas C. Sudulf of Germany and the U.S. The early announcement Monday 14 October of the three American professors as winners of the Nobel prize in Economic Science brings to a close the anticipation that has followed the announcement of the different categories in the awards.